Los Angeles Downtown Chick: FW: Tuesday Night Cafe is feeling Quirky on July 2nd! FW: Tuesday Night Cafe is feeling Quirky on July 2nd! Glad they’re still doing it. Subject: Tuesday Night Cafe is feeling Quirky on July 2nd! Parking available across the street from the courtyard at the Aiso Street Parking Lot. 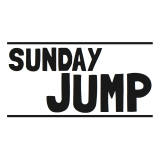 $3 flat rate after 5pm! Is feeling Quirky on July 2nd! Volunteer at Tuesday Night Cafe! If you are interested in volunteering at Tuesday Night Cafe this season as well, please fill out our volunteer form! Sign up to volunteer at Tuesday Night Cafe! Come celebrate Tim's 20th Anniversary as Producing Artistic Director of East West Players! An indoor/outdoor event featuring the best musical talent from the best musicals that EWP has produced. In addition, a delectable menu of Asian fusion, great wine from the collections of our EWP wine aficionados, a hosted open bar (have you had a Tim Dang Banger yet? ), and desserts to die for...and you have one heck of an evening. 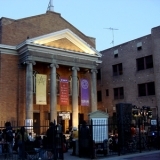 For more information, visit www.eastwestplayers.org. In its twelfth season, the successful Armed With a Camera (AWC) Fellowship for Emerging Media Artists nurtures the next generation of Asian Pacific American media artists to capture their world, surroundings and outlook on life. Visual Communications works with the Fellows for seven months and provides special training, mentoring and networking opportunities, access to facilities and equipment, plus a cash and rental stipend to create four to five-minute digital shorts that premiere at the Los Angeles Asian Pacific Film Festival and other venues nationwide. There will be good music, good food, and good vibes! Please support the venue! The mic will be open for poets, musicians, emcees, comedians, and every artist that would like to share and build a community with us! 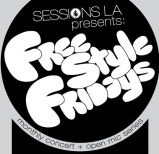 Freestyle Fridays is a monthly fundraising event for Sessions LA, but no one will be turned away for lack of funds. * Open Mic & Open Turnatbles!